GoPro is a high-resolution camera that can record 4K video. After recording footage, many GoPro users will transfer videos to their desktops or laptops so they can play the clips with Windows 10 media players. However, Windows 10 media players don’t always play the GoPro videos for some users. These are a few resolutions for fixing GoPro videos that don’t playback in Windows 10. GPU: Any GPU higher than GeForce GTX 650 Ti, AMD A10-7800 APU, Intel HD Graphics 5000, and AMD Radeon HD 7000. Some users will probably need to upgrade their laptops and desktops to play 4K GoPro videos. 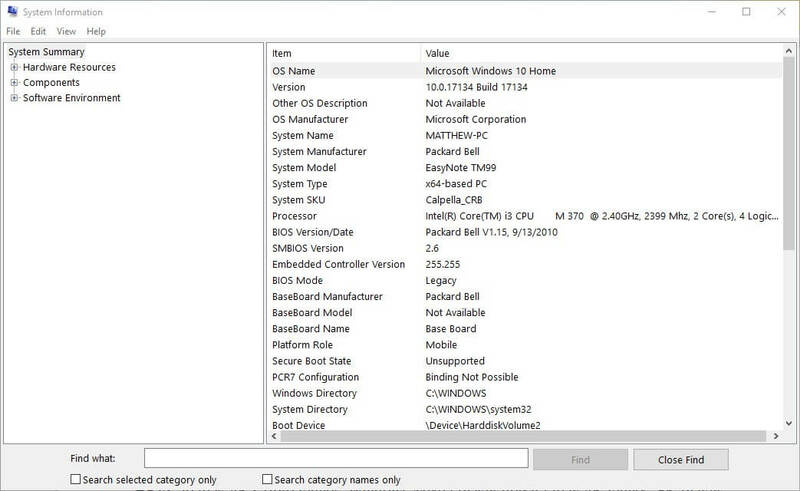 Users can check their system specs via the System Info window. Click the Type here to search button on the Windows 10 taskbar to open the search box. Enter ‘system info’ in the search box and click System Information to open the window shown directly below. Then users can check their system specifications within the System Info window. Not all media players can play 4K videos. Thus, users will need a media player that supports HEVC to play 4K GoPro clips. Windows Media Player doesn’t play 4K videos without the Media Player Codec Pack. 5K Player, KMPlayer, and VLC are three of the best media players for 4K clips. So, install one of those media players. 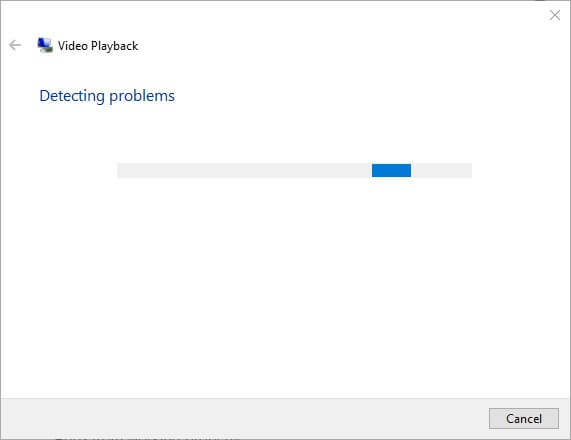 The Video Playback troubleshooter in Windows 10 can fix video playback issues. Therefore, that troubleshooter might come in handy for fixing GoPro video playback. 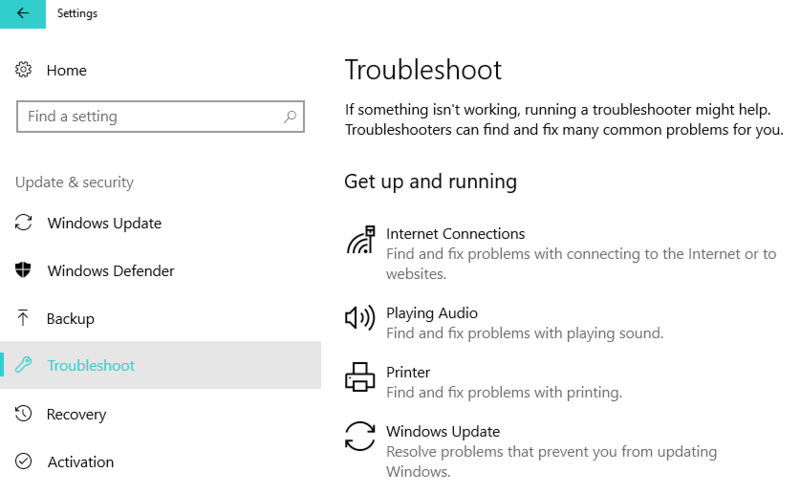 Users can open the Video Playback Troubleshooter in Windows 10 as follows. Open Cortana by clicking the Type here to search button on the taskbar. Input ‘troubleshoot’ in the search box. Select Troubleshoot to open the Settings app as in the shot below. Select Video Playback and click Run the troubleshooter. Then go through the troubleshooter’s suggested resolutions if it provides any. Those users who can’t play 4K GoPro videos in Windows 10 can convert them to 1080p clips with Handbrake. That will probably ensure the videos’ resolutions aren’t too high for a desktop or laptop, but users can also convert their GoPro clips to ones with resolutions lower than 720p. This is how users can convert 4K GoPro footage to 1080p videos with Handbrake. Click the Download Handbrake 1.2.0 button on Handbrake’s website to save the setup wizard to a folder. Open Handbrake’s installer to add the video optimizer to Windows 10. Press the Open Source button. Click File to select a 4K GoPro clip to convert to an alternative 1080p resolution. Click General on the Presets sidebar on the right of Handbrake’s window. Then select the Fast 1080p30 preset to convert the video to an MP4 clip with 1080 resolution. Press the Browse button to choose an output folder to save the video to. Then press the Start Encode button. GoPro video files can get corrupted when the camera unexpectedly shuts down. Thus, some users might need to fix a corrupted a GoPro video. GoPro cameras display SOS repair icons that highlight corrupted files. Place the SD card that includes the video which doesn’t play within the camera. Then the camera might display an SOS signal on its LCD display when switched on. If so, press any button when you see the repair icon to fix a corrupted file. 4K GoPro videos also hog a lot of system resources in Windows 10. Thus, some users might need to free up RAM and hard drive space (for virtual memory) to ensure there is sufficient space to play their 4K footage. Users can close background software and free up some disk space as follows. 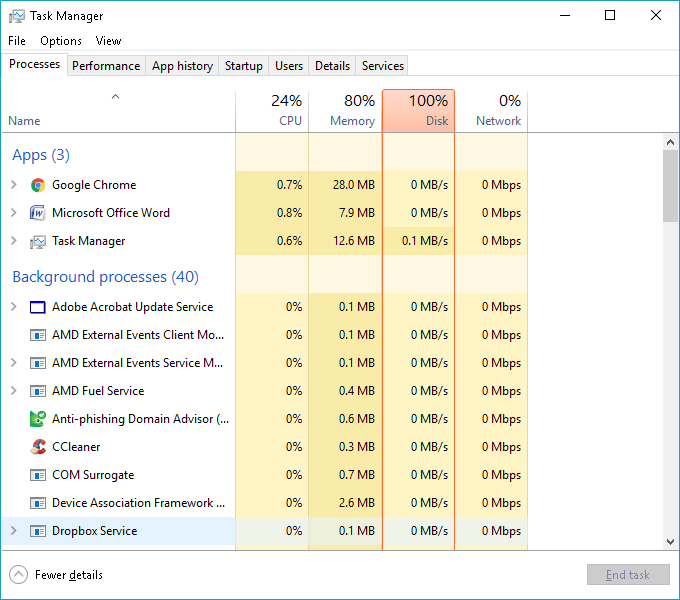 To close third-party software, right-click the taskbar and select Task Manager. Then select superfluous third-party software listed under Apps on the Process tab. Click the End task button to close selected software. 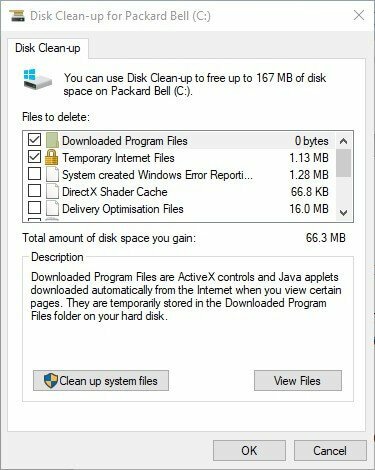 To free up disk space, enter ‘disk cleaner’ in Cortana’s search box. Then click Disk Clean-up to open the window shown below. 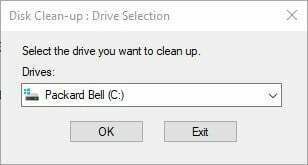 Select the C: drive, and click the OK button. Select the Temporary files and Recycle Bin check boxes. Users can also select some of the other check boxes to free up more HDD space. So, Windows 10 media players usually don’t play GoPro clips because their 4K resolutions are too high. Converting the videos to lower resolution formats will usually ensure playback. However, some users might need to free up RAM and hard drive storage (for 4K playback) or repair corrupted GoPro videos. What to do if Discord won’t update on Windows 10 PC?